North Texas Summer Fun: For Fresh Fruit & Vegetables Think Ham's | Gina Miller's Blog - A working mom's blog about fitness, travel, handbags & beauty. May 15th doesn't just serve as a reminder for me that my taxes are one month late. The date is much more important. It means that Ham's Orchard in Terrell is finally open! I discovered Ham'View Blogs when my parents bought some property in Mineola a few years ago and since then, every trip east involves a stop at Ham's. Although, truth be told, it's not like I need an excuse to go, just a free hour. 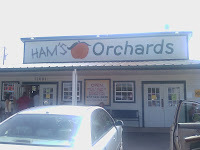 Ham's is true orchard and roadside market about 35 miles east of Dallas on Highway 80. It serves fresh fruits and vegetables, homemade ice cream, cobblers and all the stereotypical country kitchen stuff that everyone's Texas Grandma had in the pantry. I went last Sunday and, as it is every weekend, the place was packed. The homemade soft serve ice cream is a big draw. 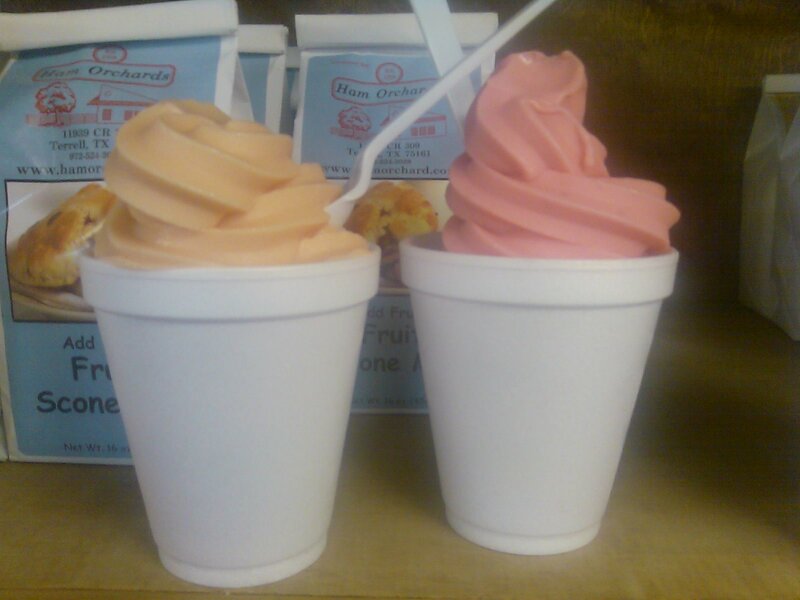 They serve peach or strawberry in a cup or cone. 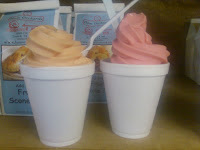 It is light and fresh, almost with a yogurt consistency but tastes of freshly-picked peaches and strawberries. I picked up six pints for Memorial Day and, as of Wednesday, only two pints are left. Their fruit is picked daily from the orchard just outside the market. It's spot-picked when it's firm-ripe to allow some ripening at home. 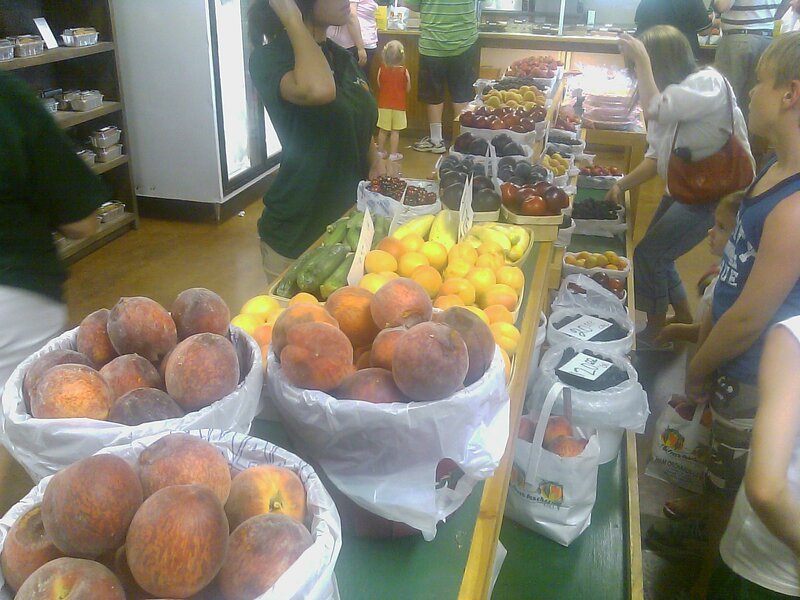 They have different varieties of peaches, plums, nectarines throughout the season. Gold Crest peaches were available on May 13th. Gala on June 25th. 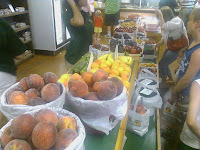 Karla Rose nectarines are available June 10th while we missed Weatbrook nectarines on May 30th. 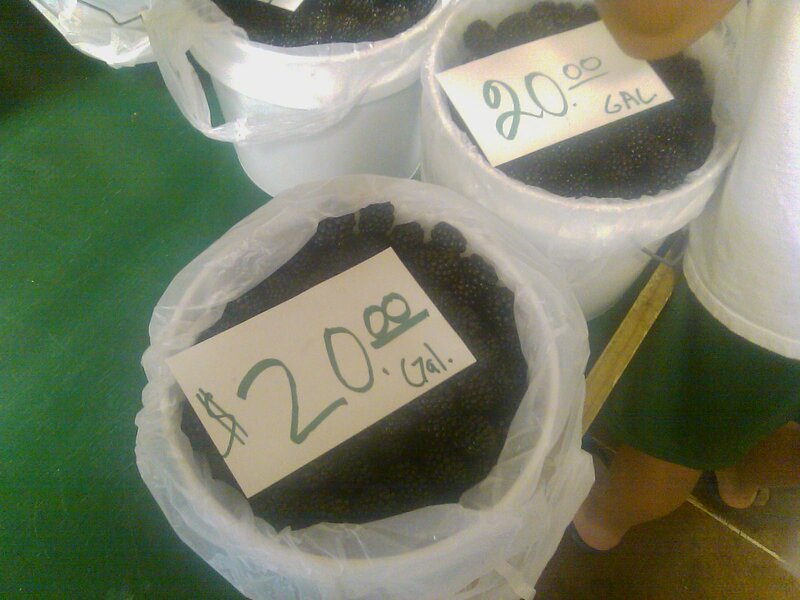 You can also pick your own blackberries or grab a basket in the store. 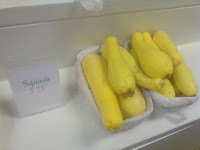 They also serve a variety of vegetables ranging from summer squash and okra to tomatoes, onions and cucumbers. Ham's doesn't grow the vegetables. They get them from individual farmers. 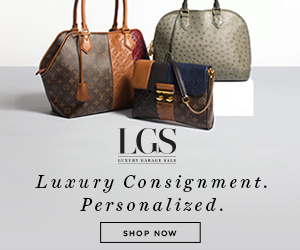 I have to be honest, it's much more appealing buying them there than at the Dallas Farmer's Market. Less toxic car fumes suffocating me as I browse and no carnie-like hawkers trying to get me sample their tomatoes. I've sent a ton of friends to Ham's and it's never disappointed them. Kids love it because they get to run through the orchard and pick blueberries. Go for at least the ice cream. I promise you will thank me. 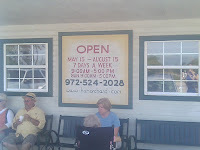 Ham's is open daily from 9am-5pm but only for three months a year, May 15 - August 15. Mavs Dig Dirk & Want You To, Too!